It's a big old Nintendo Download this week, with a 3DS demo, Game Boy game, two Wii Virtual Console games and original 3DS download software hits alongside DSiWare puzzlers and a WiiWare demo. Let's get to it. 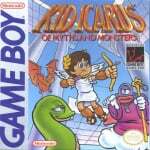 Kid Icarus: Of Myths and Monsters (Game Boy, Nintendo, £2.70/€3) — Pit's second adventure comes to 3DS ahead of the release of Kid Icarus: Uprising. Find out if it's worth a punt in our upcoming review. Fun! Fun! Minigolf TOUCH! (Shin'en Multimedia, £4.50/€5) — A much-enhanced follow-up to Shin'en's WiiWare original, we recently took this for a spin with our Fun! Fun! 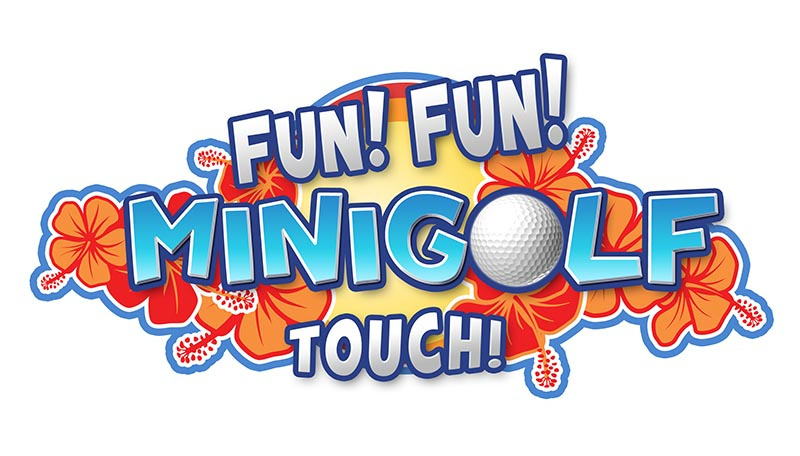 Minigolf TOUCH preview ready to read ahead of our review, coming soon. Dead or Alive: Dimensions (Tecmo Koei) — Tecmo's sensationalist fighting series gets a free version from the eShop this week. You can read our Dead or Alive: Dimensions review to learn more about its ample charms. Mega Man X (Super NES, Capcom, 800pts) — Only 11 months after it launched in North America, the Blue Bomber's legendary 16-bit adventure comes to Europe. Read our Mega Man X review and get those Points at the ready. 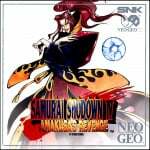 Samurai Shodown IV: Amakusa's Revenge (Neo Geo, D4 Enterprise, 900pts) — The fourth feudal fighter strikes Virtual Console, bringing with it all number of changes, from fateful brothers Kazuki and Sougetsu Kazama to alternate endings. Our upcoming review will tell you if it's sharp or, er, not. 1001 Blockbusters (Selectsoft, 200pts) — A passable compendium of block puzzles, our 1001 Blockbusters review has all you need. Successfully Learning Mathematics: Year 5 (Tivola, 500pts) — By our maths, the final instalment in Tivola's numerically educational series. Review soon. ANIMA: Ark of Sinners (Anima Game Studio, free — full game 1000pts) — This promising-looking title turned out to be one of the biggest WiiWare disappointments of last year, but now you can try it for yourself. If it makes you consider purchasing the game, our ANIMA: Ark of Sinners review has more details to help aid your decision. A whopping week there. What will you be picking up this week? Let us know in our Facebook poll. Wow! I'm a jelaous that is a great update from the classic games to the demos. I've been waiting to try DOA. I hope that demo is in the US this week. I hope the demo this week is Rayman Origins, and the VC game is Kid Icarus... for $4 there's no way you can go wrong! Definitely getting Kid Icarus. Hoping to get through this one, still haven't passed level 2 of the 3D Classics version. Nice update Europe. USA has some 3DS VC catching up to do now. Looking forward to Kid Icarus: Of Myths and Monsters. This could turn out to be the best update since the existence of the eShop (all platforms considered and still leaving room for improvement on Wii- and DSiWare). I guess i'll end up with Kid Icarus: OMaM, Fun! Fun! Minigolf TOUCH!, Mega Man X and the ANIMA demo. Awesome week! Getting at least Kid Icarus and DoA:D demo. Finally! Mega Man X! Having only played this game very briefly I'm looking forward to checking it out. I was, however, kind of tempted to try and find the gamecube collection, but I've heard that they kind of messed up the controls, which in a game like Mega Man is cruciaI. I don't think I'll be picking up Myth and Monsters straight away as I only recently got my free copy of 3D Classics Kid Icarus (3 months late I might add). fairly decent week for a change. i`ll pick up the DoA demo tomorrow and maybe the VC games when i have cash to spare. Waaaaaiiiiitttt a minute. A great GB game like Kid Icarus is being sold for the lower GB game price? Amazing - I'm not complaining! Kid Icarus AND Fun! Fun! 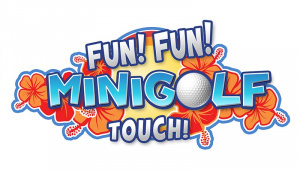 Minigolf Touch? Well, I hope you guys have fun re-experiencing "Mega Man X." I know I did. I`m confused: what is for the 3DS and what is for the Wii? @B-Ray97 The ones labeled under categories prefaced with 3DS are for the 3DS. Everything else is for the Wii. And yes, this is a grand week for Europe. Virtual Console, Wiiware, Wiiware Demo. What a great week! I never thought I'd see two wii virtual console games released in one week ever again! Kid Icarus and Mega Man X are definite's and I'll give Dead or Alive a whirl as well. Mega Man X, Dead or Alive Demo AND a Kid Icarus game I was never aware even existed??? Time to board up the house, cos I ain't leaving for a while!! I'll get Kid Icarus: Of myths and monsters at some point and I already have DoA:D which is an awesome game and I highly recommend it. I'll be getting Minigolf and Kid Icarus. I do have to get some more eshop credit. Congratulations, Europeans! This is one of the most impressive Nintendo Download weeks I can ever remember seeing, and you are so overdue for the superb Mega Man X! And I imagine Kid Icarus OMM is amazing too (hope to find out one of these weeks). Being in the US, I am envious of this in comparison to the typical bare bones week North America will likely have. FINALLY! FINALLY! FIIIIINALLY! Megaman X! Whoa, that's a pretty big week for eShop. I hope the American update is just as nice. Lucky Europeans. I hope the list we got is wrong and this is what were getting (Mainly Kid Icarus). DOAD is an amazing game. Much better than SSFIV (IMO), and I'd even say it ranks up there with 3D Land and OoT3D. Hope the demo convinces some of you to pick it up. Nice week, THREE VC! Hope ours looks similar. Wow, what a week for you Europeans. NA better have something like this. @Linkstrikesback Oh, you're right, I forgot that DSiware was part of 3DS, not the Wii. That was stupid and misinformative of me. Wow! Best Nintendo download week ever! If America doesn't get of Myths and Monsters this Thursday I'm going to be sooooo pi$$ed!!! Ah, the Kid Icarus Gameboy game, Megaman x, a 3DS Demo and a Wiiware demo! A pretty nice week!! Looks like NoE finally found their lost Wii!!! yet another solid week for downloads in europe. great line-up. kid icarus, megaman X and samurai shodown are brilliant titles, whereas DoA is a really good 3D fighter. I'll only be getting the mini golf game, if it reviews well.Nothing else of interest for me this week.Really want Sakura Samurai!!! We've also set up a Facebook poll so you can let us know what you'll be buying this week. Pop over and let us know! DOA D demo? I have been waiting for this since japan got it! Going to download it right now!!!! Tried DoA:D demo and it was really great but really short. Also liked those little gyroscope features. Every week should be like this, no exceptions! Awesome! cannot wait to download Megaman X and maybe Samurai Shodown 4 ^^ But..... seems like I cannot download the Demo for DOA....... is it really because I live in Norway? -.- quote from Wikipedia: "Due to Swedish controversy, Dead or Alive: Dimensions is not being sold in Sweden, Norway and Denmark. The concerns were raised when an internet forum user commented that three underage characters in the game could be viewed from angles that could be considered lascivious." Yep. They classified it as kiddy pron there so it was banned. Australia didn't get the DOA demo either and it was just reclassified here not banned. I wonder if we're going to miss out on the demo entirely too or if it will become available at a later date. @Usagi_san Just change your region to the UK, download it and then change it back. That's what I did but it was hardly worth it due to the demo being too short. I just finished unlocking/beating everything in Fun! Fun! Minigolf TOUCH! and I probably wouldn't recommend buying it. It's pretty short and everything seems to be about earning money, which there is nothing to do with after you've unlocked everything (in a few hours). Doubt I'll be opening it too many times from here as doesn't really give me any incentive to return. The later holes are the same as the earlier ones but with added coins and obsticles. Oh, and the whole out of bounds thing is pretty annoying. In saying that, I had a bit of fun with the game, but not as much as with other eShop games and certainly not for very long.